Era of TV revivals - What's old is new again! NEW YORK -- This is the era of TV revivals. We're defining a revival as containing at least some of the original cast members. There are several in the works on various networks, including ABC! Fuller House (Netflix) If you grew up in the 80's and early 90's chances are you spent a good portion of your Friday night watching TGIF where "Full House" was a staple. The new series follows Candace Cameron Bure as grown-up "DJ 'Fuller'" (her married name) who now finds herself raising three boys alone after her husband's death. Frequent cameos and the return of cast members Jodie Sweetin "Stephanie Tanner" and Andrea Barber "Kimmy Gibler" make the show a fun blast from the past, set in the present day. Will & Grace (NBC) All of the series regulars returned 11 years after the series finale, and ignored the storyline of the season finale. The show resumes with all of the same humor you loved, but updated for the times. X-Files (Fox) Scully and Mulder are back to investigate the supernatural for an 11th season, the second new one in the 14 years since its original finale. Gilmore Girls (Netflix) The series came back for a special four-episode mini season of sorts called "A Year in the Life." The episodes take place nine years after the original finale. It leaves the door open for future episodes. DuckTales (Disney) It has all the fun of the original from the late 80's, but adds a new character Webby to pal around with Huey, Dewey and Louie. Roseanne (ABC) This is one of the most highly anticipated revivals. Set to premiere on March 27, 2018, the Conner family is back with the original cast reprising their roles. Roseanne Barr says that the revival will ignore Dan's death from the original finale, allowing for John Goodman to return to the series. 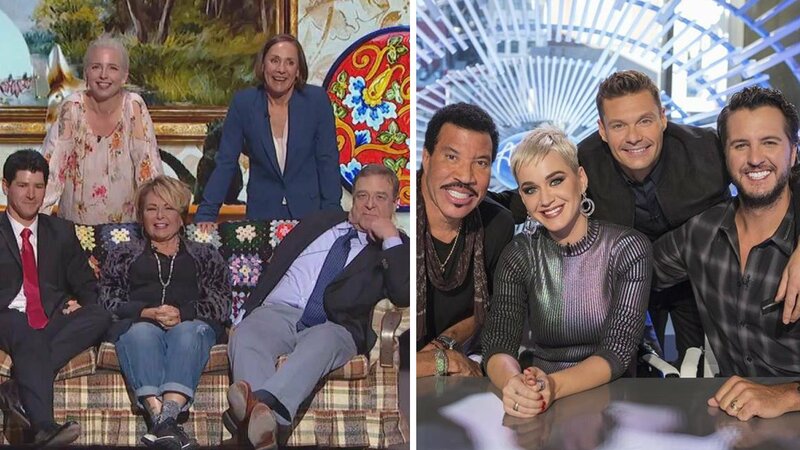 American Idol (ABC) It's no surprise with Ryan Seacrest now a part of "Live with Kelly and Ryan" that ABC wanted him for the return of one of the biggest reality TV shows. The show ran for 15 seasons on Fox, ending in 2016, and will return for season 16 on ABC on March 11, 2018. Katy Perry, Luke Bryan and Lionel Richie will sit in the judges' seats. Murphy Brown (CBS) 30 years after its premiere, "Murphy Brown" is returning to CBS. Candice Bergen is returning to the title role and other cast members are expected to reprise their roles, although no other information is confirmed. The show has a 13-episode order. Jersey Shore Family Vacation (MTV) The original reality TV series taught us "GTL" otherwise known as "Gym, Tan, Laundry" which must be done to live a successful life on the Jersey Shore. Snooki, JWoww, PaulyD, The Situation and others (minus Sweetheart) would be returning to the shore for "Jersey Shore Family Vacation" five years after the original series ended. Mad About You (NBC) Paul and Jamie Buchman could be returning to your TV screens. Paul Riser and Helen Hunt have both expressed interest in a revival of the show in published reports. Set in New York City, the show ran for 7 seasons. The Office (NBC) The original U.S. series ran for nine season and 201 episodes. Steve Carell (Michael Scott) has already said that he would not do a revival, while Jenna Fischer (Pam Beesly) and Angela Kinsley (Angela Martin) said they had interest in returning to the show. Is there a future for the staff at Dunder Mifflin? Time will tell.